Zinnias have long been one of my favorite flowers. They are bright, cheerful, multi-colored, and easy to grow. Given the right circumstances they also reseed themselves. 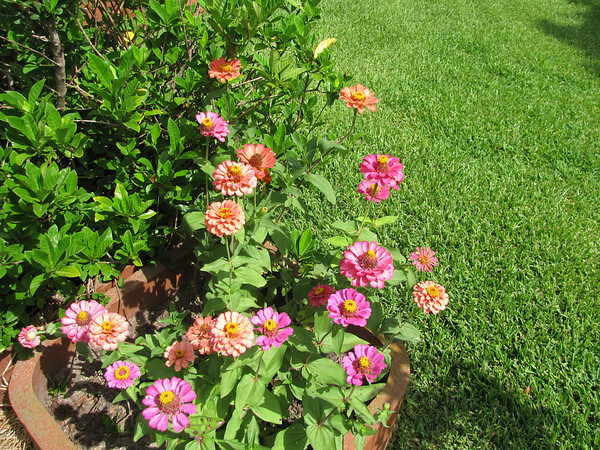 These are some that I saved the seed from the previous year–they were a cherry swizzle but these seem to have reverted back to standard zinnias.